Brands are leveraging various social media networks for marketing & advertising. Facebook has proved to be one of the best platforms for that. We have been through so many success stories about how brands have leveraged Facebook to accomplish their distinguished goals. One such success story is how 1-800-Flowers.com exhibited 4000 transaction in a single day through Facebook apart from making other great achievements on this platform. Founded in the 1980’s, 1-800-Flowers created a network of florists in the U.S. that allowed it to take orders over the phone and deliver throughout the country. Always an early adopter of new technology, the company became 1-800-Flowers.com with the rise of the Internet and is now primarily an e-commerce business. It has also expanded into the delivery of gift baskets including food and wine. Let’s go through the success story of this e-commerce business and see how it accomplished its goals through Facebook. 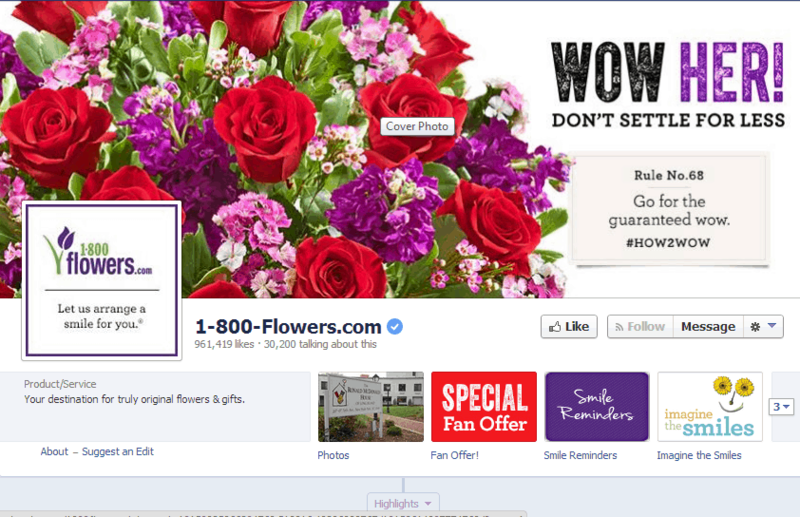 1-800-Flowers.com began to use its Facebook page during the Valentine’s Day season to extend its social community and help consumers pick and purchase flowers with ease. 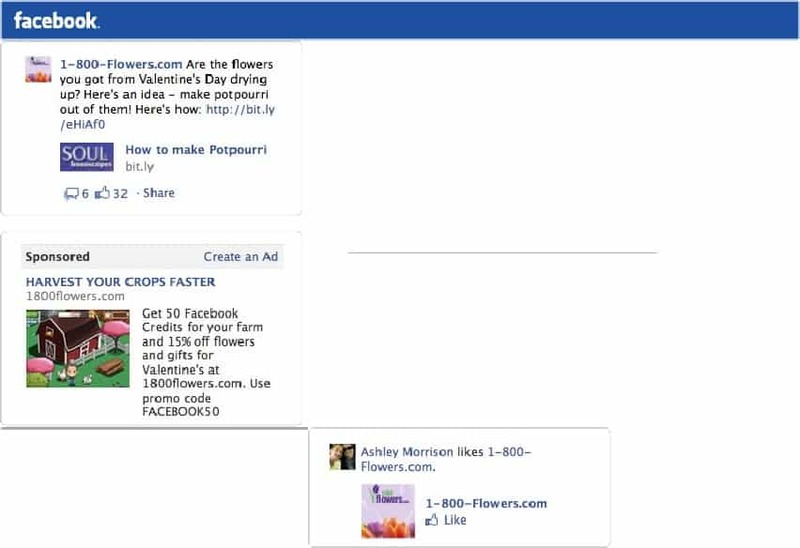 The flower company used Facebook ads to give fans 15% their purchase and 50 Facebook Credits to be used on Facebook Games. They implemented Shared Stories that allowed friends of consumers see what they were buying. 1-800-Flowers.com also allowed consumers to like different products so that the company could know which was the most popular for consumers. Ran Facebook ad campaigns that offered 50 Facebook Credits (Facebook Virtual currency) and 15 percent off flowers to consumers who bought their flowers on 1-800-Flowers.com. Ran page Like Sponsored Stories, which generated stories on the right hand side of the page for anyone whose friend liked 1-800-Flowers during the campaign. Ran Page post sponsored stories to ensure that all of its fans saw its wall posts during the campaign. Leveraged Facebook’s platform tools on its website, 1-800-Flowers.com. Shown the upcoming birthdays of friends and family to each website visitor by making use of Facebook login. All of its products on the Web featured a Like button in order to figure out which products are most popular and to decide which to feature in other promotional materials. Monitored and fostered its Facebook community. Has a customer service team focused on social media to make sure people get the help they need.